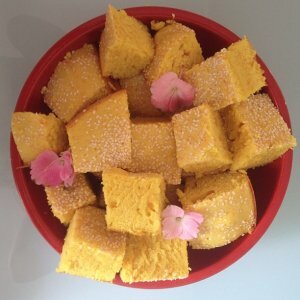 After raving about my Grandmother’s Sfouf in the Montreal Checklist I am going to share her recipe with all of you. 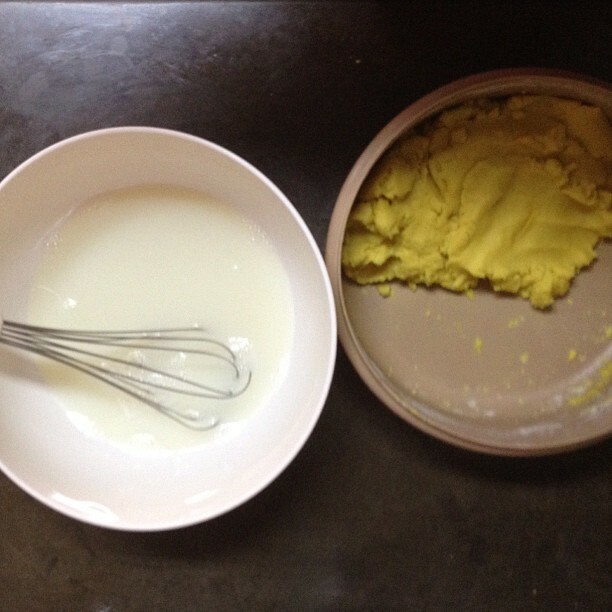 I’m not a very accomplished pastry chef myself. The closest I’ve ever come to making a cake is Banana bread (or in darker days: Betty Crocker mixes). 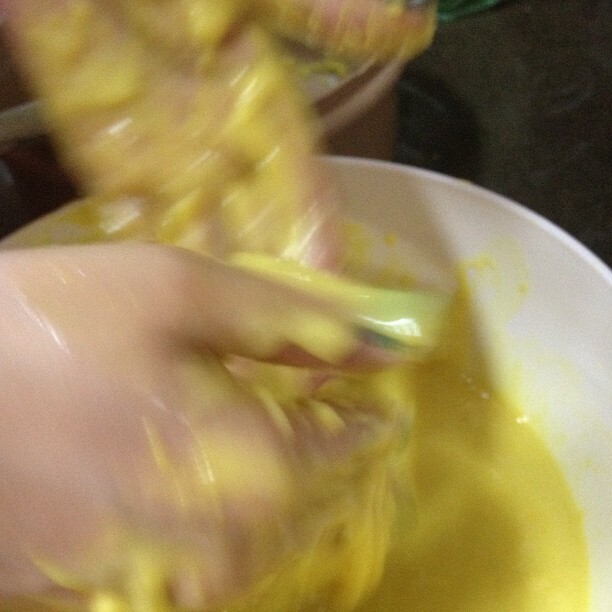 I always imagined baking required a sprinkle of magic and some secret chemistry skills. 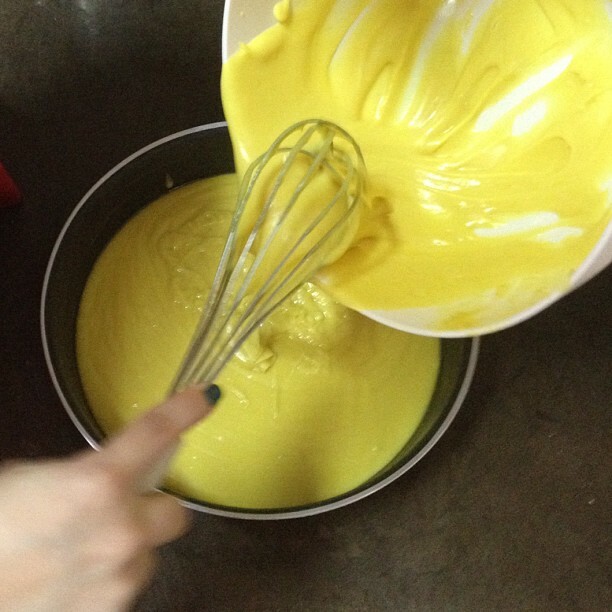 The good news is it turns out anyone can bake (including yours truly). 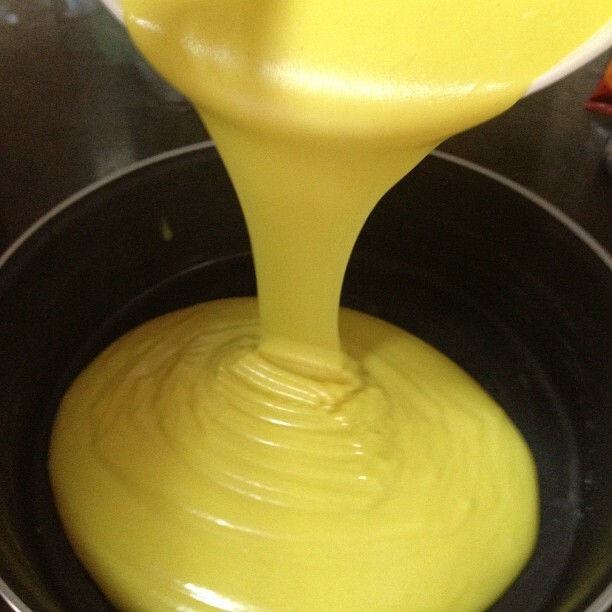 1/ Mix the flour (2 cups), baking powder (1.5 teaspoons), and Turmeric (0.5 spoons) together, then work in the vegetable oil (0.5 cups). 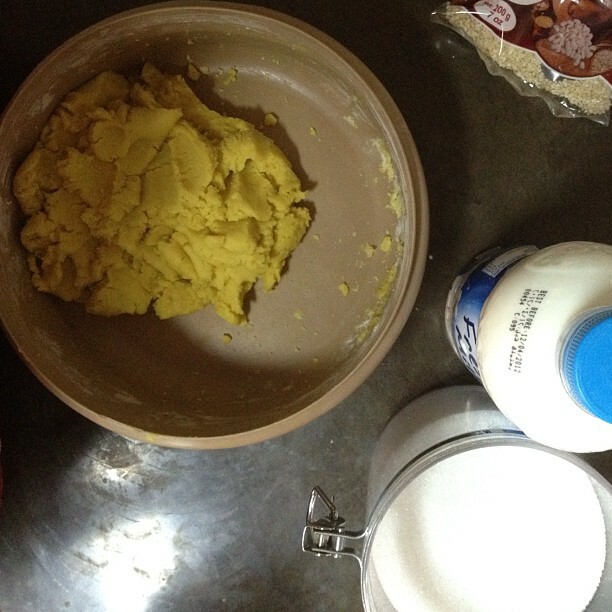 It’s easier to use your hands to mix everything into a dough that should resemble freshly opened play dough. 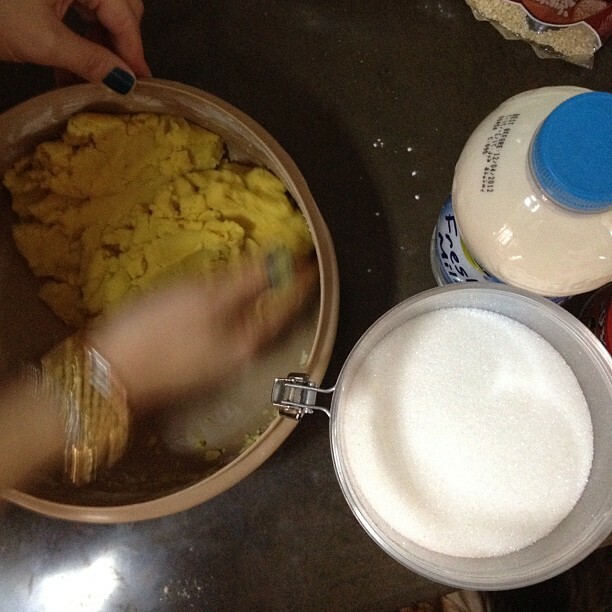 2/ Mix the sugar (1 cup), boiled anis (0.5 cups), and milk (0.5 cups) together, then work in the yellow dough. 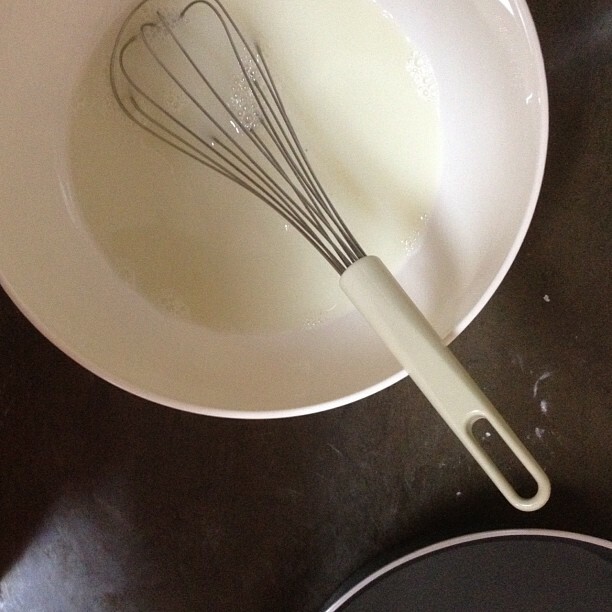 For this step you can easily use a whisk. 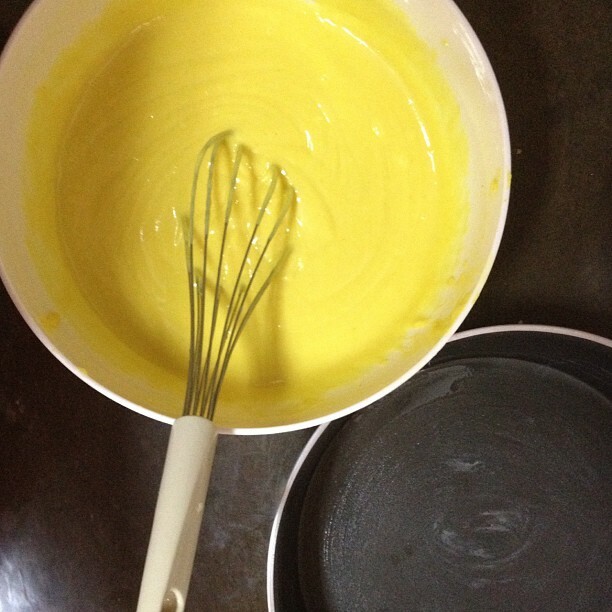 Keep whisking until you get a uniform yellow mix with no lumps. 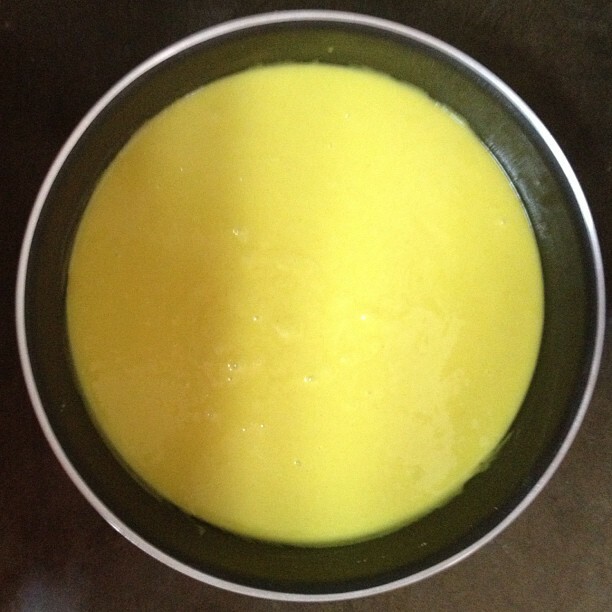 3/ Coat a pan (larger than 25cm of diameter) with some vegetable oil and flour and pour the yellow mix into the pan. 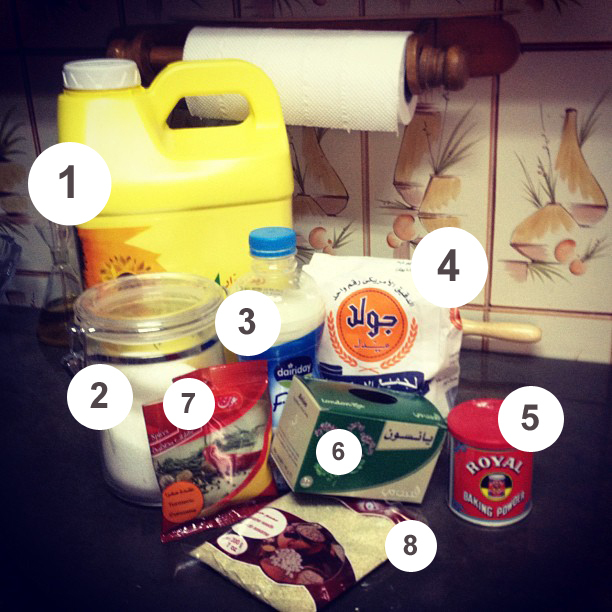 If you want to do it the exact way my grandmother does it then nothing goes to waste. 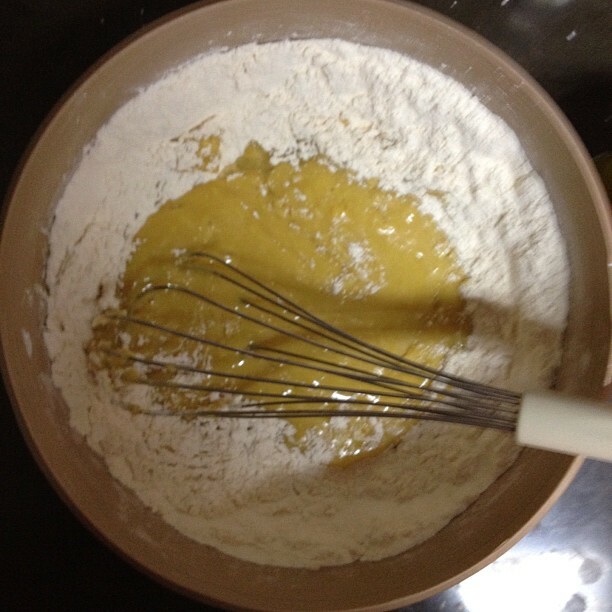 Make sure you scrape every last drop of the mix and pour it into the pan. 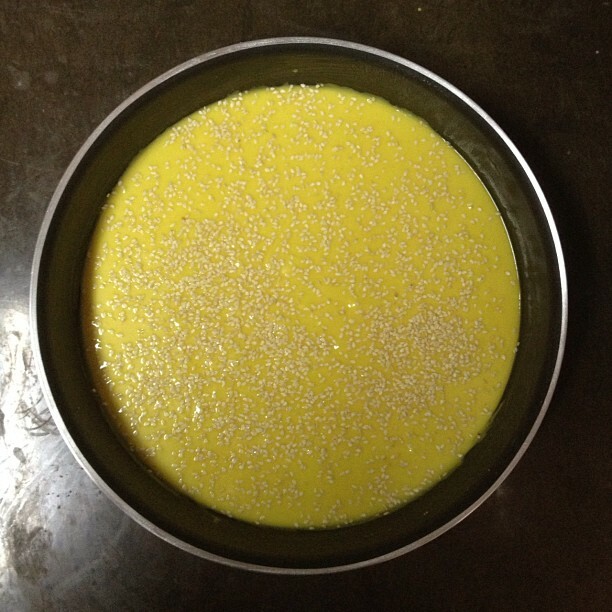 4/ Move the pan around in circles until the top of the mix is flat and uniform, sprinkle with sesame seed (Some people prefer to use pine nuts or almonds) and pop it into the oven for 30 minutes at 180 Celsius (or 350 Fahrenheit). To make sure the cake is baked insert a toothpick into it. If it comes out clear you’re good to go. If you’re like me and you like your Sfouf a little moist then remove it after 25 minutes. 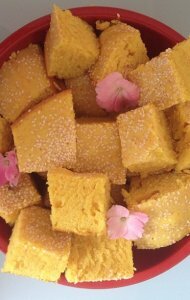 Allow at least half an hour for the cake to cool down then cut it into portion sized squares. Sfouf is best enjoyed with a warm cup of tea or a glass of milk. 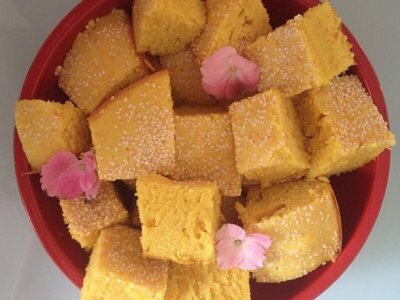 I’ve been wanting this recipe for a while! so making this this weekend!